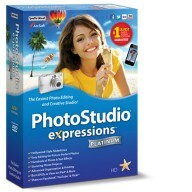 Video Expressions has all the tools you need to import, organize, and edit your photos, create Hollywood-style movies, and share your creations. Move easily from video editing to video creation with the user-friendly interface. Upload Videos directly to your social networking accounts – YouTube™, Facebook®, Vimeo, and as a Tweet on Twitter™! 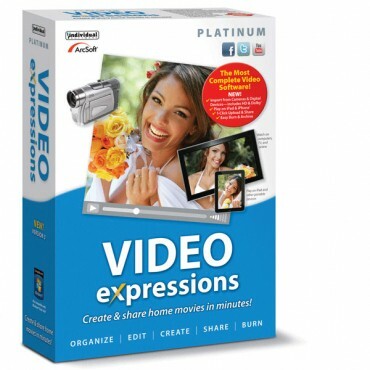 Edit high-definition content using Video Expressions Smart Technology! Create the ideal soundtrack with studio-quality tools. Import your own music from CDs, MP3s, or iTunes®! Edit & Create Hollywood Style Movies! Import Video, Photos, and Audio from Cameras and Digital Devices Edit High-Definition (HD) Content! 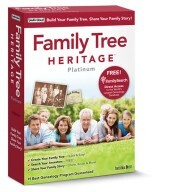 Organize with Drag-and-Drop Technology Import your Own Music from CDs, MP3s, or iTunes®! Just import video, photos, and audio from your camera and digital devices, including popular DV/HDV/DVD/AVCHD camcorders. Just pick the movies and photos you want to use, select a theme and music, and let Video Expressions assemble and produce a finished professional movie to share on TV or online! New & Improved Features – Right at Your Finger Tips! Import your photos and videos from your video cameras, mobile devices, web cam, or digital devices with ease. Video Expressions allows you to tag your videos and pictures in many ways. You can even create new tags and categories so your media never gets lost. Ratings allow you to find your best media faster. Stay organized during a project. You can organize your media by favorite folders, ratings, tags, activity history, calendar, and import history. 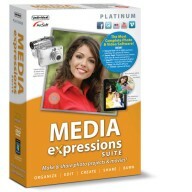 Video Expressions allows you to preview your media files in real time! Easily jump between photo editing and movie making. Add titles, themes, text, background music, and credits. Add dynamic lighting, denoise, make color adjustments, adjust brightness, and more. Even choose themes to enhance your movie content and make it a masterpiece! Burn to DVD or upload video onto your YouTube™, Vimeo, Facebook®, and Twitter® accounts! VideoDownloader is an easy-to-use application. Download and save videos from various video sharing websites like YouTube. Download, convert, and transfer your favorite videos to your device – all with just one click! Quickly convert your media into portable formats to watch on any DVD player or computer in the comfort of your home. Play on Apple® iPhone*, iPad and iPod Touch, Sony® Playstation and PSP, Droid and other smartphones, or other popular devices†. You control the quality level and optimize results at any size. Video Expressions provides all the authoring tools that you need to create a DVD movie that you can publish for playback on your DVD player or computer. Get access to templates and scene selection features. You can even burn a 1080i DVD capable of playback on a Blu-ray Disc™ player! *Supports all models of Apple iPhone, including iPhone 4. †Supports Windows Mobile, Google Droid, and Apple iOS powered Smartphones. Performance on other wireless devices may vary.